At that time Jesus withdrew to the region of Tyre and Sidon. And behold, a Canaanite woman of that district came and called out, “Have pity on me, Lord, Son of David! My daughter is tormented by a demon.” But he did not say a word in answer to her. His disciples came and asked him, “Send her away, for she keeps calling out after us.” He said in reply, “I was sent only to the lost sheep of the house of Israel.” But the woman came and did him homage, saying, “Lord, help me.”He said in reply, “It is not right to take the food of the children and throw it to the dogs.” She said, “Please, Lord, for even the dogs eat the scraps that fall from the table of their masters.” Then Jesus said to her in reply, “O woman, great is your faith! Let it be done for you as you wish.” And her daughter was healed from that hour. 'Yong ating Ebanghelyo ngayon medyo may pagka-kontrobersiyal. If you listened very well to the Gospel, a Canaanite woman approached our Lord. When you say Canaanite, that means she is not an Israelite. She is outside of Israel. And a Canaanite is considered an outsider. And because Jesus is considered a Jewish religious leader, by law, the woman has no right to approach the Lord. So when the woman approached Jesus, many were surprised. Para bang sinabi nila na ang lakas naman ng loob ng babaeng ito. They believed that the woman had no right to approach Jesus, who is a religious leader of Israel. And what did Jesus say in response to the pleading of the woman? Mas nakaka-iskandalo. Because when the lady approached the Lord, Jesus said, "It is not mine to take the food for the children and throw it to the dogs." It's as if Jesus is saying that His service is only for the children of Israel, and not for others. And it's as if Jesus was calling the woman a 'dog'. But the woman gave a very beautiful reply. "But Lord, even the dogs eat the scraps that fall from the table of their masters." Sinasabi ng babae na kahit na ang mga aso ay nakikinabang sa mga mumo na nalalaglag sa mesa ng kanilang panginoon. What is the good thing about the woman? The woman has no sense of entitlement. For her, everything is grace. Marami sa atin, ang ating mentality - o, I deserve it. Kailangang ibigay mo sa akin 'yan. It is my right. So we have that sense of entitlement. And so because we have that sense of entitlement, what happens? We become less grateful. Sometimes, there are things that are given to us, not as a right, but as a privilege, but we tend to ignore it. Hindi na tayo nagpapasalamat. We believe that it is our right, not our privilege. 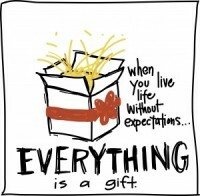 But if we open our eyes, we will recognize that many things that we enjoy are actually privileges. But we don't recognize them. For example - why do we have a chapel in the mall? Is that your right, to have a chapel inside the mall? No. It is a privilege. But have we ever thought about it - 'Lord, thank You, that at this time, we are able to hear the mass even in the middle of the mall.' It is a privilege, not a right. Mayroon tayong mga taong nagsisilbi dito sa chapel. They are not paid individuals. Have you ever said 'thank you' to them? Halimbawa, 'Uy salamat ha, sa service mo.' It is not our right. It is our privilege that they are here with us. Let's thank them for their service. Pag meron tayong sense of entitlement, makakalimutan natin 'yan. Hindi tayo magpapasalamat. There are also many things that people do to you, not as a right, but as a privilege. But do you recognize them as such? Kapag ipinagluto ka ng masarap na pagkain ng iyong asawa o ng iyong nanay, nagpapasalamat ka ba? Sometimes, because of our sense of entitlement, we behave like kings or queens. 'Pagsilbihan mo ako.' At kapag nakakain ka na, magrereklamo ka, 'Naku, hindi masarap itong niluto mo.' Hindi mo binabayaran ang magulang mo, o ang asawa mo. Lalo na 'yong mga anak - 'yong pag-aalaga na ginagawa sa atin ng ating mga magulang, these are privileges that are being given to us. The woman in the story was commended by the Lord because she did not have a sense of entitlement. She recognizes that everything is grace, everything is gift. And paradoxically, when you begin to recognize that you do not deserve anything, everything will be given to you. That is the paradox. When we approach the Lord and believe that we do not deserve anything from Him, that is the time that we will be given everything. When Jesus saw that in the woman, what did Jesus say? Her wish will be fulfilled at that very hour. In this mass, let us pray for that grace that we may recognize that everything is a gift, and that everything is a privilege. And therefore, let us pray for the gift of gratitude in our hearts. Only then will everything be given to us. Amen.